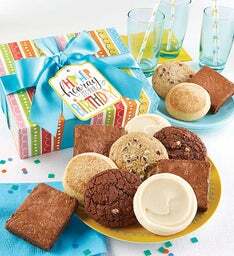 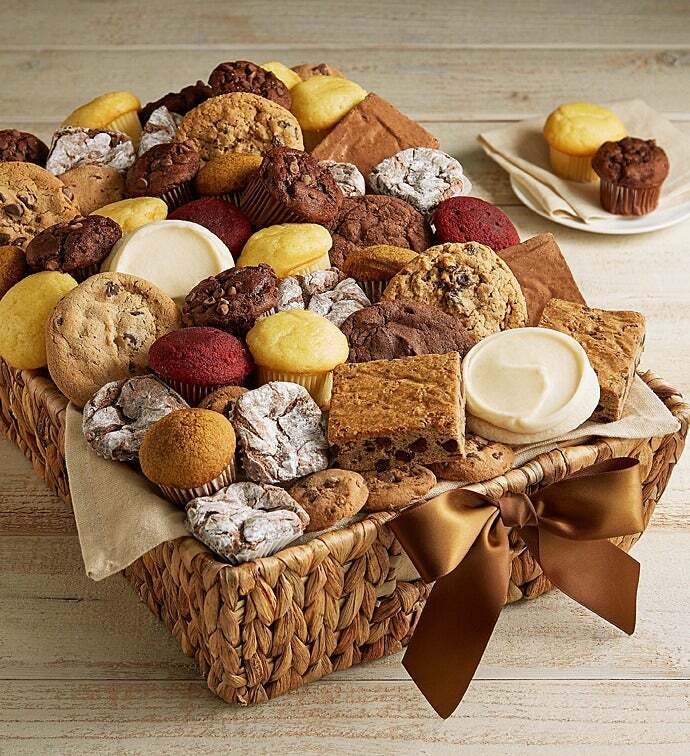 Our large dessert basket is perfect when you need a gift with lots of treats for the office or any special occasion. 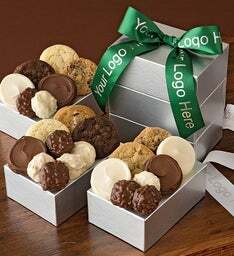 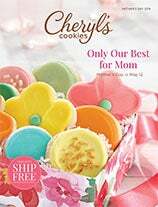 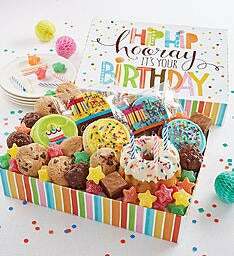 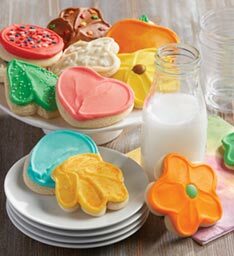 We’ve included assorted cookies and signature brownies, snack size crunchy snickerdoodle and chocolate chip cookies, powder sugar dusted chocolate truffle cookies, mini muffins, and a keepsake napkin. 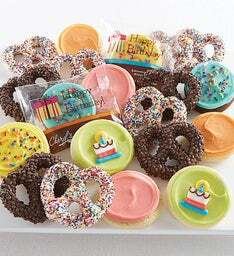 OU D. 50 pieces.